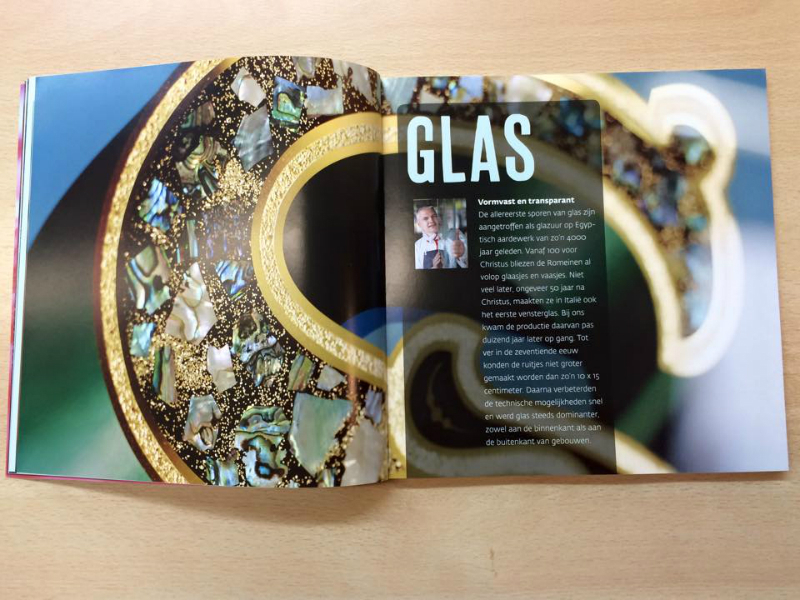 Schitterend in the special edition of the VIE Art & Crafts addition include wood carving , pottery painters and polishers Erik Winkler is entitled 'Glass Processor' mentioned in an article several flat glass techniques and crafts discusses we perform at Schitterend . 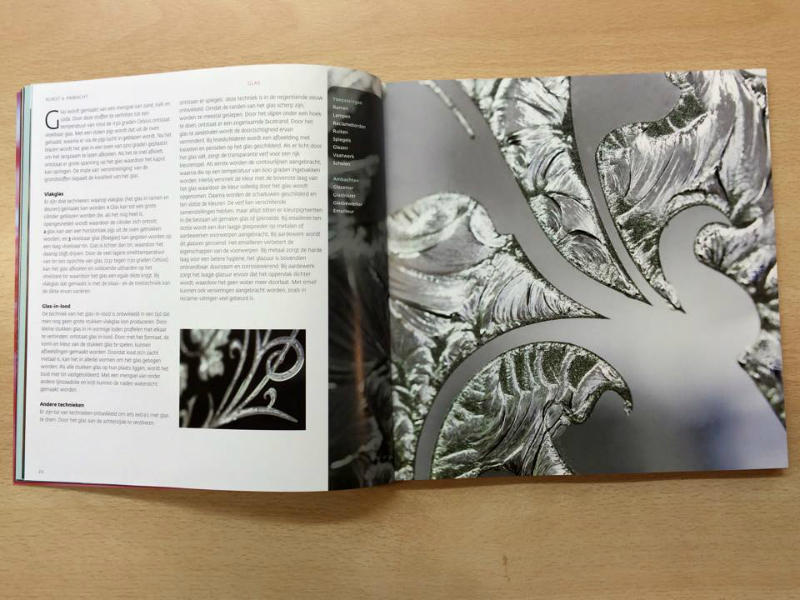 The following crafts are mentioned: glass etching, gilding with gold leaf and glass cashing glass discussed by the tinting of glass with silver nitrate solutions and the importance of the techniques for the preservation of the Dutch culture . 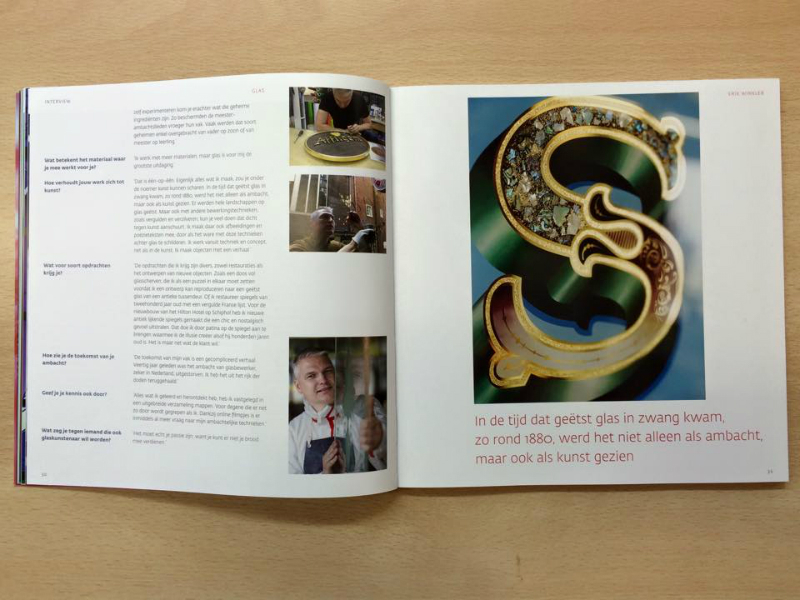 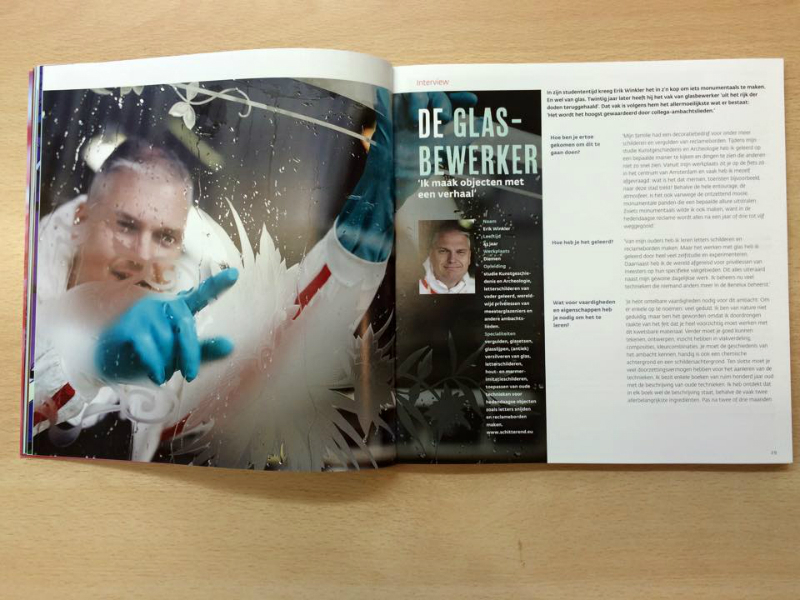 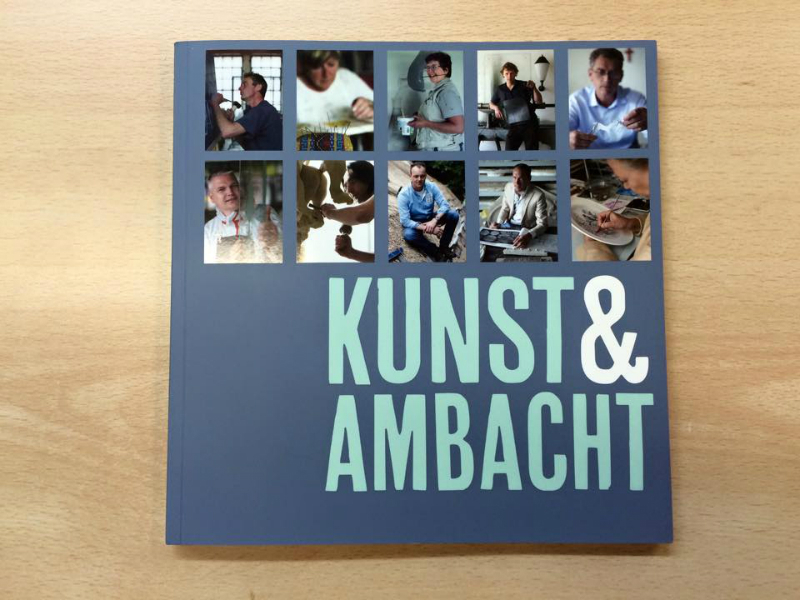 The book is currently available at the foundation intangible heritage and various bookstores gespecialseerd in art, culture and craft for the Dutch Unesco.